This 2018 commemorative print is the 2nd for the International #Emerging Proud campaign. #EmergingProud is an international Grassroots Social Movement aimed at: Re- framing ‘Madness’ as a possible catalyst for positive transformation. #Emerging Proud is ultimately a campaign about providing hope; that breaking down does not mean we are broken; it means that we can be amidst a difficult journey to ‘breakthrough’. #Emerging Proud aims to add to the voices passionate about creating a society in which it feels safer to speak out about our extreme experiences without fear of being told there is something wrong with us, or that we are “crazy”. The campaign provides a platform to give those people who feel they have not had a voice, the chance to speak out and tell the world how they found a way out of their own darkness; a celebration of the positive transformation potential of these experiences, whilst at the same time acknowledging how challenging they can be. This limited edition commemorative print features a collection of the blogs and artwork from the last year since the launch in May 2017. These amazing personal stories of those who #Emerged Proud, aims to change the negative prognosis dialogue which mainstream psychiatry portrays today, and provide validation and HOPE to those who might be struggling. Katie Mottram - Author, Speaker, Blogger and Project Co-Ordinator Katie is the founder of the #EmergingProud campaign. She was one of the Founding Directors of the International Spiritual Emergence Network, providing a collaborative platform for the global networks that exist to support people going through a transformational crisis. 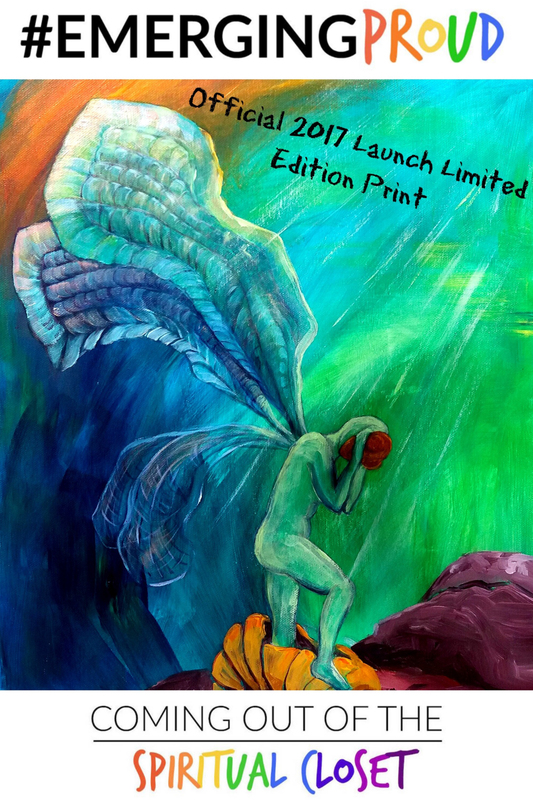 Her personal story is featured in the publication by the Royal College of Psychiatrists, Spirituality and Narrative in Psychiatric Practice: Stories of Mind and Soul, 2016, and in her own book; Mend the Gap, 2014.